As we approach Good Friday, our minds often fixate only on the cross. Most of our attention should rightfully be here because this is where he suffered willingly, dying the horrible death we all deserve. But I want to back up and focus on another place where Jesus suffered before he even got to the cross. After he was arrested in the garden by Roman soldiers, he was ordered to be taken to the high priest. Jesus was led to the house of Caiaphas, the high priest at that time. I’ve always just skipped over that phrase in the Bible. It’s just a place, so what’s the big deal? But no longer do I just skip over this place. Last year my family had the amazing opportunity to visit Israel. Day after day we traveled to different holy sites. Places where Jesus walked. Places where Jesus healed. Places where he taught. 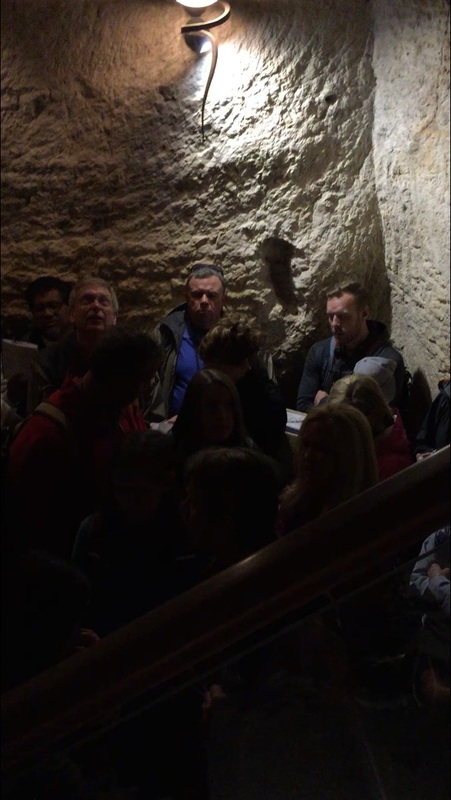 But in most of the places we visited, tour guides informed us that Jesus would have been in this general area. With few exceptions, it would have been difficult to pinpoint exactly where he might have walked or stood. The House of Caiaphas was one of those exceptions. 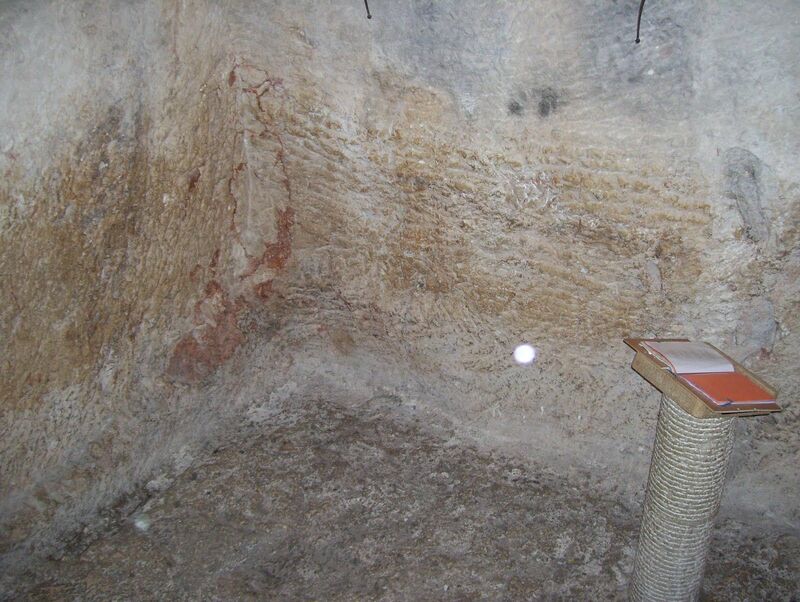 When archeologists discovered a dungeon underneath the palace of the high priest, they could say with 100% certainty that this was indeed the place where Jesus would’ve been brought for his trial. I felt chills come over my entire body as we solemnly entered the prisoner’s dungeon, carved out of bedrock. Looking up, we observed a hole in the ceiling. The tour guide explained that the high priest would’ve been standing above in the upper chamber of the house in order to remain ceremonially clean. He wasn’t allowed to be in the same room with a criminal who may have been guilty of murder. 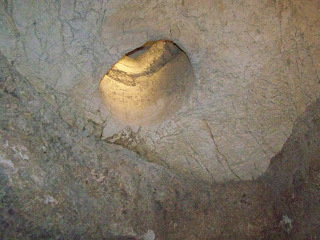 The high priest could ask questions of the prisoner while peering down into the dungeon, and remain clean at the same time. As our group huddled together into this dungeon area, I tried to wrap my head around these facts. This was the only dungeon area. This is where they brought all prisoners awaiting trial. Jesus was a prisoner awaiting trial. This is the exact place where they brought him. I’m standing where Jesus stood!!!! Wow. Total awe. My breath taken away. Surreal. How is it possible that we’re standing in the place where Jesus, the son of God, actually stood? Our group stood in amazement, trying to take it all in. What was Jesus thinking when he was here? He knew what was coming. He knew what awaited him. This is what he came for. I have no doubt that he prayed while in that dungeon. That he cried out to God the Father. Jesus stood where we should have stood. Where I should have stood. Where you should have stood. Not literally in that dungeon underneath the house of the high priest. But figuratively speaking, we should have been the ones accused. We should have been the ones awaiting trial in prison. We should have been the ones condemned to death. We are sinners saved by grace. Without Jesus we stand no chance. Without Him we can’t be made right with God. It’s a really bizarre feeling to have planted my feet where Jesus stood. I’ll always treasure that short momentary experience. But I’ll always have the peace, joy and comfort of knowing that Jesus stood where I rightfully deserved to stand. But instead of condemnation and death? I have forgiveness and life! I pray you will ponder this time of celebrating Easter! Remember his suffering. Remember his sacrifice.